JVD Towing has the right equipment for your towing need. We maintain a fleet of light duty trucks for accessing parking garages and routine tow calls, a versatile medium duty fleet that can navigate crowded highways and tow a wide range of heavy duty trucks. 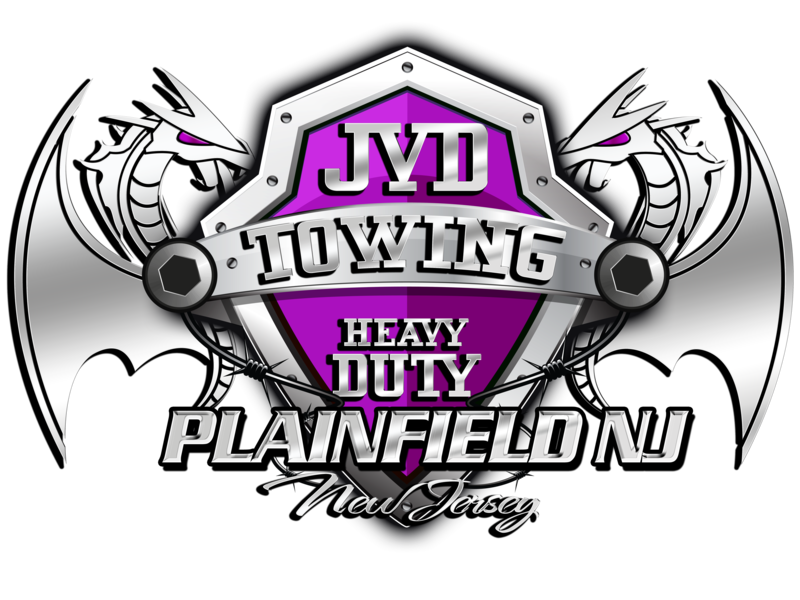 JVD Towing has a fleet of light duty and flatbed trucks – specifically designed for any four wheeled vehicle from 0 – 10,000lbs. Our light duty trucks can tow all types of cars and light trucks with state-of-the-art wheel lift systems. Our light duty trucks are also used to tow all types of vehicles from exotic to fleet vehicles. 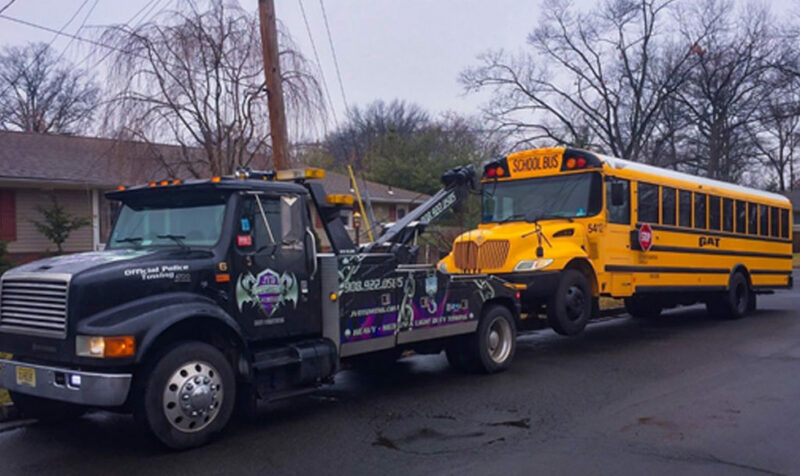 Our flatbed tow trucks provide damage-free towing for exotic and low profile vehicles. Our fleet includes tow trucks especially designed for low clearance underground garage parking access. We provide towing service 24/7 all year. Our dispatchers are knowledgeable in the industry to assist you by sending the right kind of equipment and personnel for your situation at any hour of the day, and our operators are fully trained. 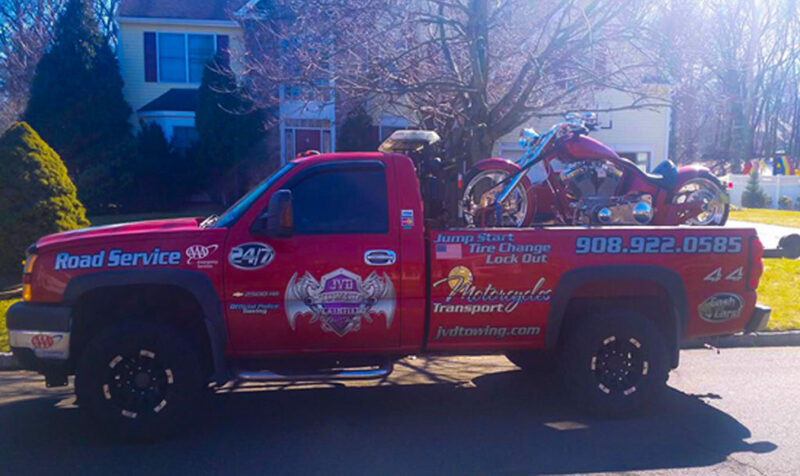 Call us for all of your motorcycle towing needs!! Our highly trained drivers use state of the art equipment for towing your prize possessions!! We are able to tow all years, makes and models of motorcycles, trikes, golf carts & ATVs. You can rest assured that our towing services are affordable & will provide you with peace of mind for your motorcycle’s safety. We provide towing service 24/7 all year. Our dispatchers are knowledgeable in the industry to assist you by sending the right kind of equipment and personnel for your situation a t any hour of the day. 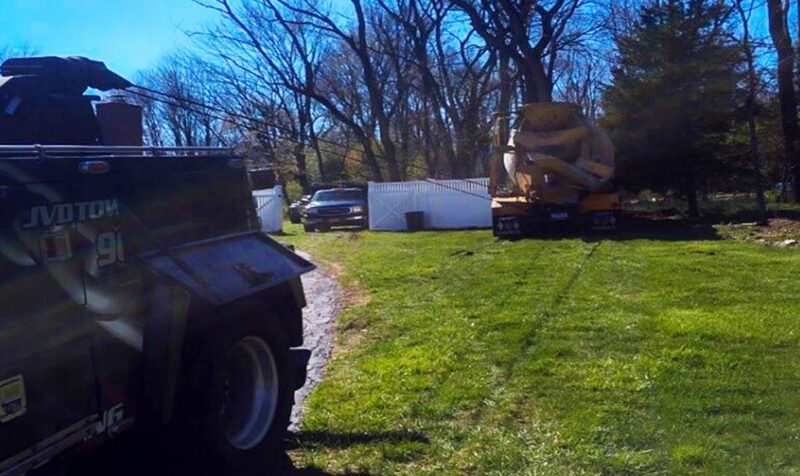 JVD TOWING has a host of medium and heavy duty trucks to easily manage larger, heavier trucks and equipment. Our skilled operators are specially trained to handle heavy vehicles and know how to transport your vehicle safely from point A to B whit out any damages. Medium duty vehicles are 10,001lbs to 26,000lbs and vehicles over 26,001to 49,999 lbs. are in the heavy duty category. Depending on the equipment installed on the truck, some medium duty vehicles may require a larger truck to tow them. We tow semi-tractor trailers and bobtails with our under-lift equipment. Our heavy-duty tow trucks haul most large vehicles including tractor trailers, tour/city buses, and large fleet trucks. 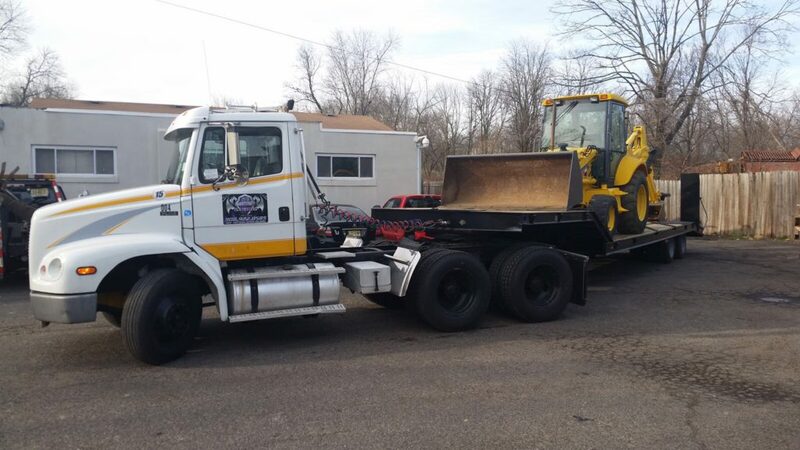 JVD TOWING moves a variety of special equipment with our lowboy trailers. We move rental and owned equipment efficiently. We offer competitive rates for both our local and long distance services. Contact us today for a free quote. JVD TOWING has branched out to provide non-road diesel fuel delivery for our customers with machines and generators with the addition of two tanker units and a highly experienced Haz-Mat certified staff. JVD TOWING standard billing terms is payment upon completion of service and we accept all major credit cards. We do extend credit to frequent customers and if you would like to open an account with JVD TOWING please download our credit application and fax it back to us at FAX: 908.822.7081. We will get you set up with an account so your drivers assured quick service without needing to have the company credit card in their pocket. Our entire fleet is fully equipped with GPS tracking. This along with Sprint/Nextel Communication provides Dispatch operators the ability to locate and send the right equipment to handle the job – so you can get back on the road faster. We take pride in the fact the local authorities know and respect our service technicians when they are on-scene. 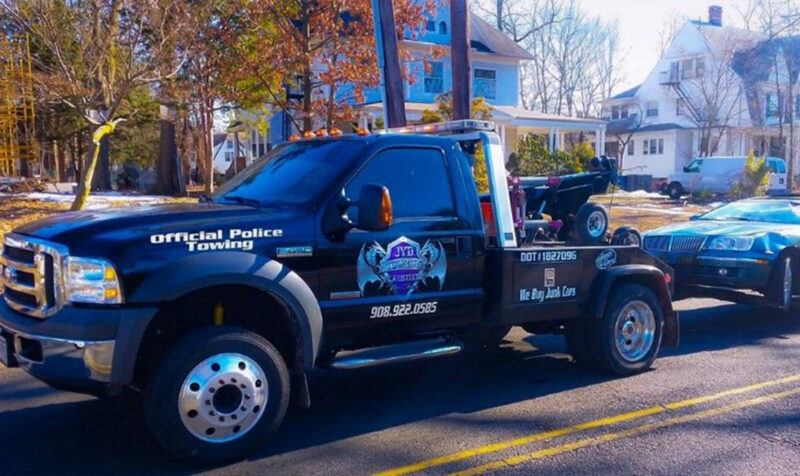 They trust JVD TOWING expertise and know that the situation will be handled carefully and professionally, helping to ensure an efficient resolution to challenging situations. JVD TOWING is fully insured and carries a complete comprehensive and collision policy. We also maintain a comprehensive liability insurance policy and garage keeper’s insurance. 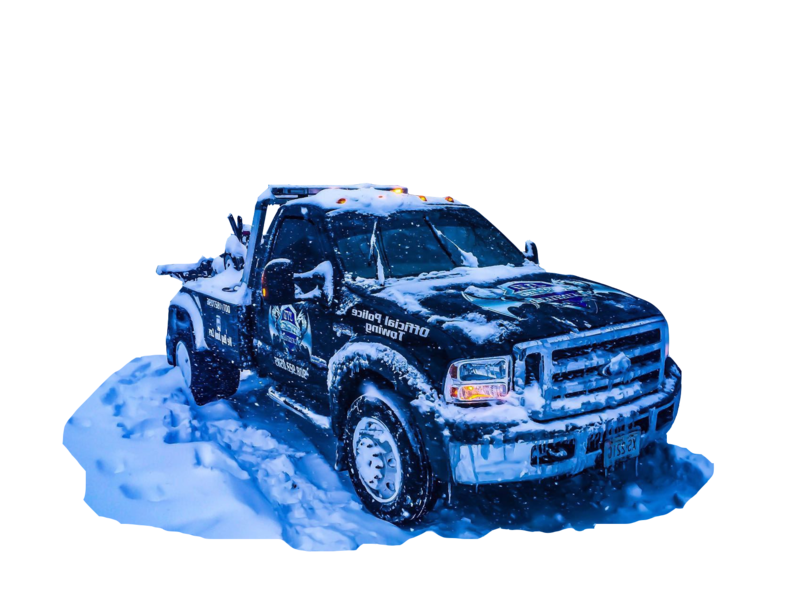 JVD TOWING also maintains Wreck Master Certification and TRAA level #3 certification by the Towing and Recovery Association of America and most of our operators have Special Wrecker/Operator TRAA Certification, to help ensure worry-free service from our towing professionals. Owner and CEO Jaime Arango started with one tow truck in 2004 and slowly grew his towing business by adding 1-2 trucks every year. Jaime maintains a professional business philosophy for both his business and with each employee, and strives to make sure each and every customer is treated fairly and with respect. 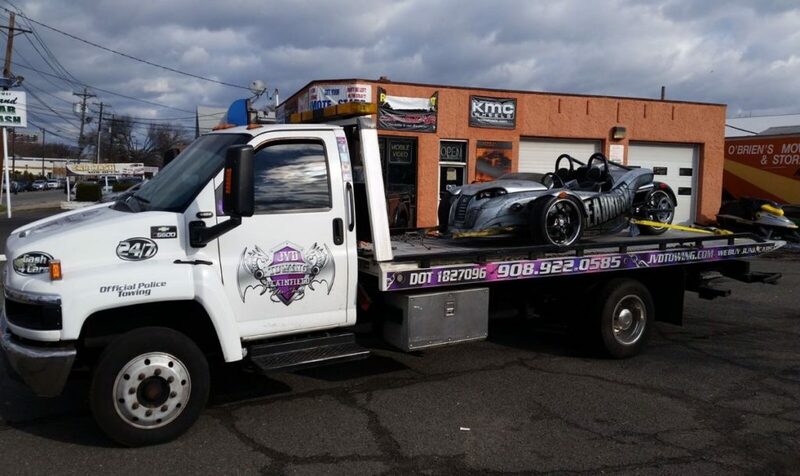 This helps to ensure that JVD TOWING offers the very best service. To help ensure that employees provide the highest standard of service, Jaime provides them with training and only the best equipment and vehicles. JVD TOWING operators are trained by the best professionals in the business and undergo continuous testing to maintain certification. JVD TOWING employs over 10 full-time employees. We maintain 3 shifts to ensure complete 24 hour coverage and have additional staff on-call to accommodate overflow service needs. 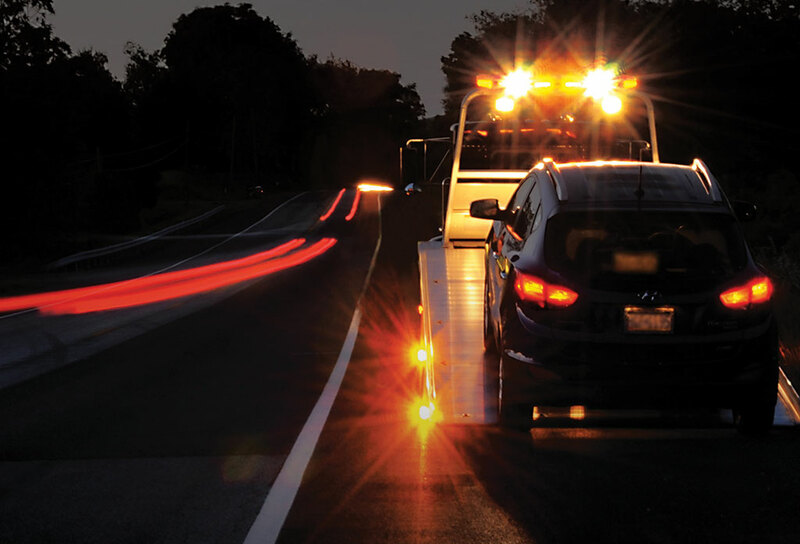 If you need a jump start, have a flat, or are out of gas, JVD towing services can get you back on the road. If you are locked out of your car or truck, we can get you into your vehicle and back on your way. Get us a call today and we can help you 24/7.